"Thank you for the work you are doing! When my daughter woke this morning, I asked her the same question I have always asked her, "How did you sleep?" She tends to be a restless sleeper who will often talk in her sleep and sometimes sleep walk. She said to me something she has never said to me before. "I slept the best I have in a long time." I believe the yoga and meditation had everything to do with this." 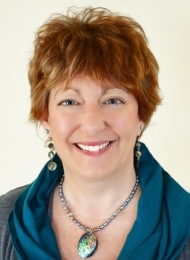 Judy Giovangelo has been a teacher and healer for many years through her company, CircleWorks. She is a certified yoga instructor, YogaKids & Workshop Facilitator, Reiki, Sound and Intuitive Healer and Hypnotherapist. Judy is also the Executive Director of Ben Speaks Louder Than Words (www.benspeaks.org) which was born through the suicide death of her 18-year-old son, Benjamin, in April 2009. She is a motivational speaker with heart and brings the Ben Speaks message to middle schools, high schools and colleges, as well as, provide hands-on workshops through yoga, meditation and expressive art through health, physical education, art or music programs and after school programs.